Snowmobile engine hoods are susceptible to damage. The hood is at the front of the machine, which increases the likelihood for impact. The hood covers the engine and is hinged to allow access. This exposes the hood to engine heat and vibration. There hood also experiences forces where it is attached to the hinge connection. 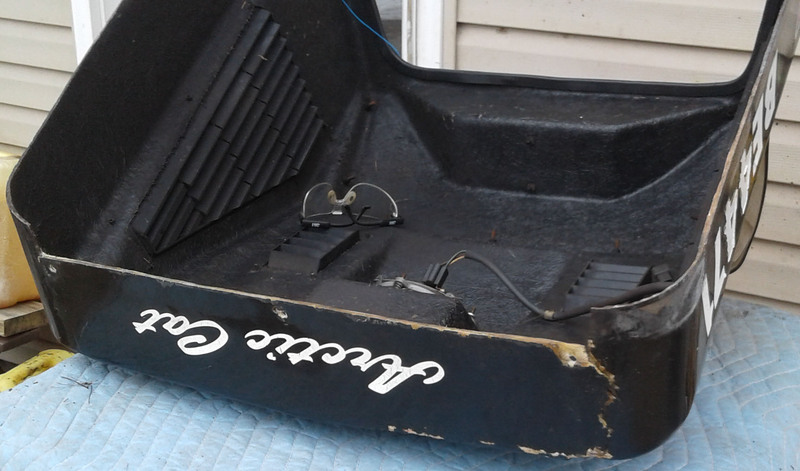 This 1972 Arctic Cat Cheetah 440 snowmobile had seen damage across the front of the engine hood. Cracked at the corners, the hood had been repaired with fiberglass and polyester resin in the distant past. 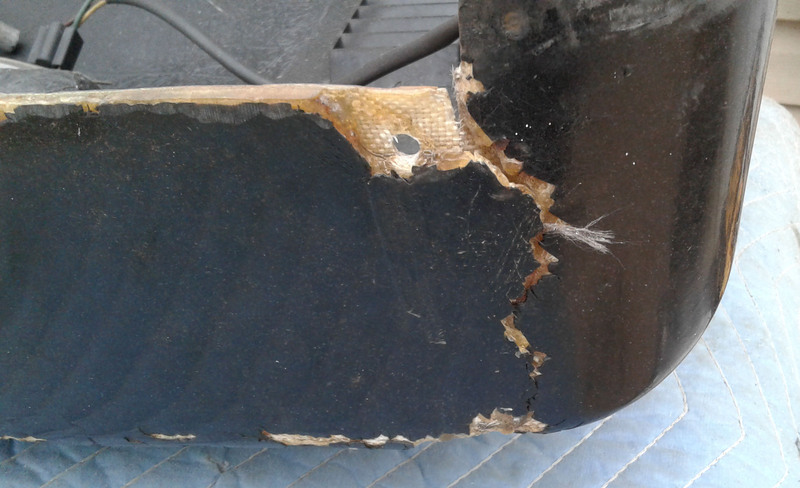 This old repair included 2-3 layers of plain weave cloth tape without any random strand fiberglass mat included in the layup. Inside of front edge was previously repaired and failed. The original repair was a structural repair on the two corners of the hood leading away from the hinge attachment holes. There had not been an attempt at any cosmetic repair to the front side. The outside of the hood shows the cracks. Closeup of the cracked fiberglass hood. 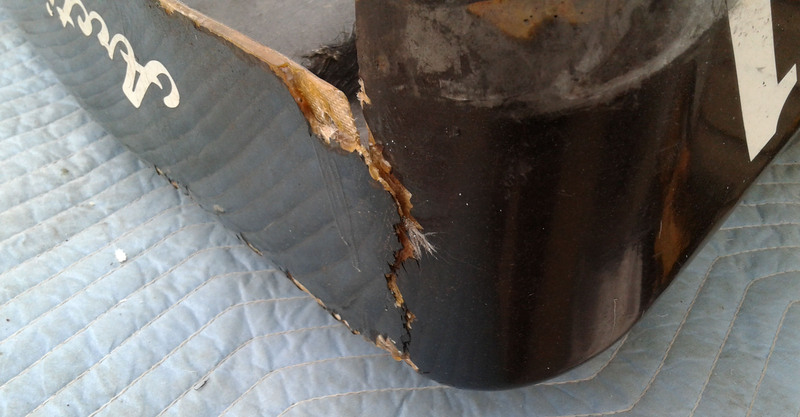 A damage survey like this only leads to one thing- a repair project! This can be repaired with a few basic tools and supplies. Click here for the next step.